Delhi Sealing Drive: Over the last few hearings, top court has repeatedly slammed the centre and other authorities for their failure to do their job. 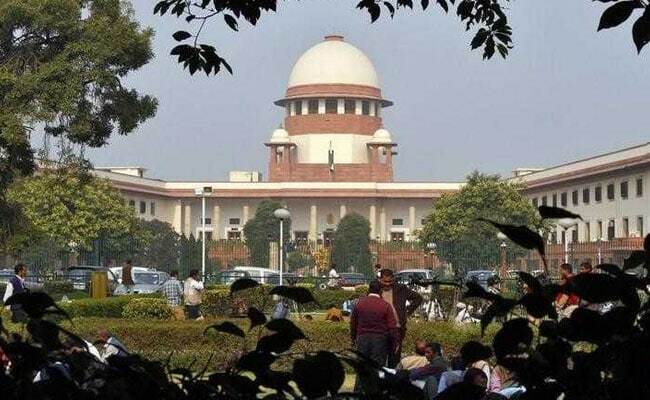 Delhi: Small traders operating can expect some leniency but not big businesses running huge showrooms and restaurants out of residential areas in violation of the law, the Supreme Court indicated on Wednesday. Over the last few hearings, the top court has repeatedly slammed the centre and other authorities for their failure to do their job and implement the law they had enacted. When the court got governments to enforce the law, the judges have observed, there have been strikes and shutdowns against this attempt. Major political parties, including the city's ruling AAP and the opposition BJP and Congress, have demanded a moratorium on sealing. The Confederation of All India Traders, or CAIT, a leading body of traders, says the sealing drive has affected the lives of 40 lakh people including traders, their employees and family. On Wednesday, the Supreme Court judges underscored that they were not against poor and small traders but only the ones running big showrooms out of residential areas in blatant violation of the law. "We are not against poor people or small traders but we have objection on big car, saree showrooms and restaurants in residential areas," the bench of Justices Madan B Lokur and Deepak Gupta told the central government. It is a question that the judges hurled at government lawyers more than once during the hearing. "How are they running establishments in residential areas? We are not going to take action against milk, butter sellers but why protection should be given to showrooms?" the bench asked, asserting that this had been happening for the last three decades. "But the government is doing nothing but protecting them (businesses that violated the law)," the court said. "You (centre) cannot ignore people of Delhi," the court said, a reminder that while political parties were rushing to back commercial establishments, this was at the cost of everyone else in the national capital. The court asked the centre, civic bodies and the Delhi government to hold a meeting and come up with a plan by Monday, 9 April. The centre's law officer had on Tuesday spoken about a gap between demand and supply due to influx of immigrants and pointed that there were around 1,400 unauthorised colonies, housing around six lakh families. The top court, however, noted that the government really did not know how many people lived in these colonies either.